As a follow up to my last article on selling your work online, I wanted to share some ideas and ways to market your work once you have it online for sale. You’ve uploaded images for sale on a site or several sites that you decided worked for you. Now what? Well, this is not the “Field of Dreams.” If you post it they will not come. You have to promote, market and get yourself, and in turn your work out there. Marketing 101: Get visitors to your site or your place of business. While the sites that are designed to sell fine art automatically bring people to them who are looking for artwork, you have to keep in mind that there are hundreds of thousands (or more) of other images out there for sale. You still need to promote your own work as well. Start building an email list and/or gaining blog followers. These are not interchangeable and each has their own purpose. Whether you have your own website or use other sites as home to your images, you should have a place for potential buyers to stay in touch with you and opt-in to receive emails or to be notified when you post to your blog. With email you can reach out to them, send them specials when you have them and share new artwork once in a while. You’re not going to share every single new piece — just enough to get them interested and to want to go look for more. People not only buy art that they love but they also buy from artists they like and/or relate to. If you have a blog, your followers can learn about your thought process when you create and go with you on your shoots. It’s a great way for them to get to know the person behind the art. Get the word out. Most sites have social media sharing buttons. Use them. Share on your personal and business pages if you have both — share on any platform you have an account on. The more you’re out there the more chances you have of people coming to the sites to check out your work. While this may not help sales directly on the sites you are selling from, it’s a good idea to create local interest as well. Talk to your local coffee shop about hanging your artwork. Check out any local galleries and find out if they have any openings for exhibits. Talk to local business about a place to pin or place your business cards. Check out libraries in your area, many have art displays that rotate on a monthly basis. I touched on this a bit in the last article. You need to decide what works best for you. If you are selling directly to clients, need to create packages, photo books and all that goes with portrait, wedding and event photography, then a dedicated site like SmugMug or Zenfolio (there are other companies who do this as well) would likely work best for you. 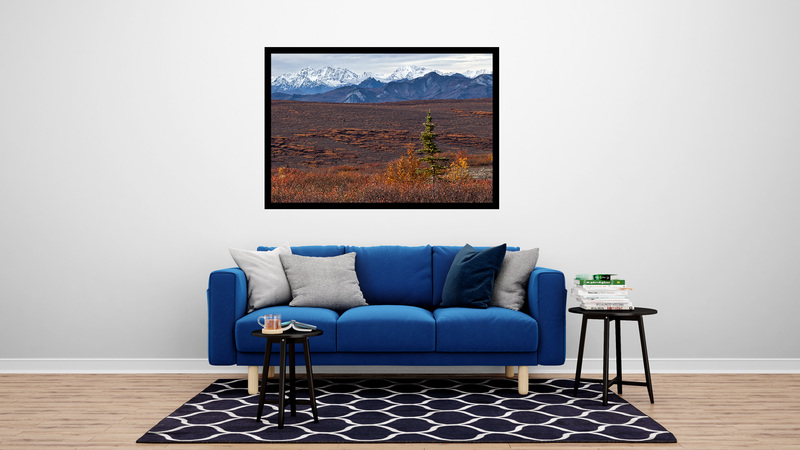 If you’re selling fine art to the general public, the sites like Fine Art America, Society6 and those type of sites are probably better for that. You need to do the research to figure out what fits best in your budget, what your goals are with your online presence and how you want to market your business. This seems like a given but the more I read and hear from people, the more I realize many of us do not keyword our images. I’ve learned the hard way that keywording upon import is smarter and much less time consuming than having to go back through your archives and add keywords later. Keywording helps because on many of the online selling sites, your keywords for each image import directly into the information when you upload to sell. It’s so much more efficient and timesaving. Keyword. Get in the habit of it. You’ll thank me later. Marketing your work and yourself is a huge topic and something many of us are not comfortable doing at all. It is a necessary evil unless you’re happy to just sit back and see what happens. I’ve seen so many photographers create amazing work, put it up on a site to sell and then become discouraged because they’re not selling anything. But they haven’t done anything to help the process though, they haven’t done the work. You have to do the work. These are just a few of the ways you can get started and get your work out there. Grab a cup of tea (or coffee), a notebook (or online version of such) and start writing down your own ideas. Write down words you’d use to describe your work, be you, and have fun with it. Happy selling! Great advice Lauri, I need to do more of this! Thanks Wade, it’s something that doesn’t necessarily come naturally with our own products and work. Good luck!